Online Application Details for Delhi State Industrial and Infrastructure Development Corporation Limited DSIIDC Recruitment of 4 Executive Engineer and 6 Assistant Executive Engineer is given below. 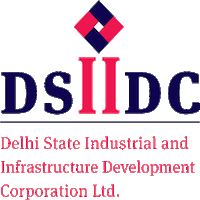 Application form and duly attested documents are to be sent to Divisional Manager (Personnel), Delhi State Industrial and Infrastructure Development Corporation Limited, N-36, Bombay Life Building, Connaught Circle, New Delhi-110001. In envelope super scribed with 'Application for the Post of Post Name'.